Sriracha Jerky - Using BigHorn Billtongs own take on a very popular condiment sauce from Thailand. A sticky sweet hot chilli Beef Jerky created to give a snack that packs a punch! 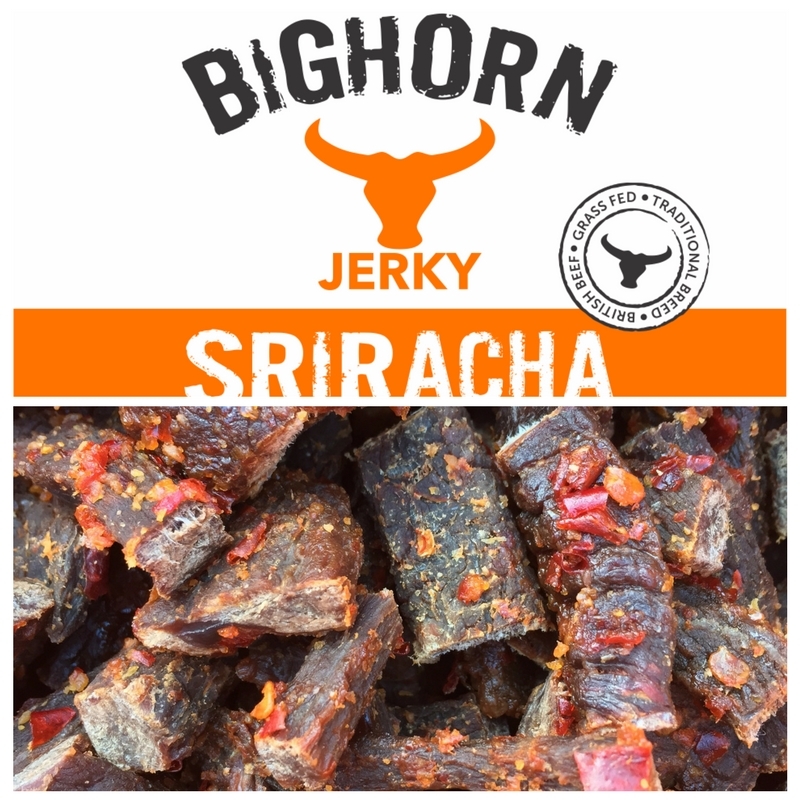 BigHorn Billtong use a specially created 6 month barrel fermented Chilli Mash and then add a secret flavour combination of garlic, lemon and salt and sugar, mixed with a little apple cider vinegar and thats it! No allergens, nasty E numbers or artiifical flavourings or colourants! A 100g serving packaged with typically a six month shelf life. Sold in a quantity of 3 packs. Each pack contains a 100g serving. Typically a six month shelf life.